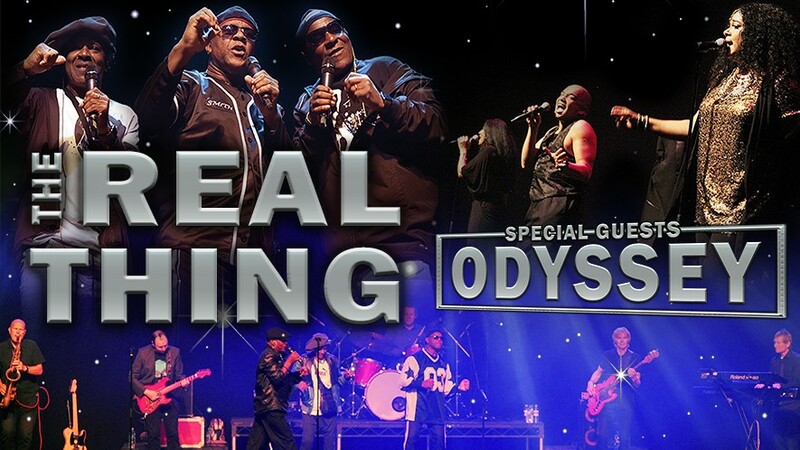 Unfortunately, we are disappointed to announce that The Real Thing & Odyssey Live, scheduled for Saturday 14th April 2018 has been cancelled due to the ongoing restrictions around the theatre caused by the major fire in the city centre. If you purchased your tickets by credit or debit card, then we will process this refund directly onto the card you used for the original purchase. Unfortunately, at this time, we cannot do any cash transactions as the box office as the theatre remains closed with no access for staff or customers, our box office staff will contact any customers who have paid by cash to arrange a suitable refund. We apologise for any upset or disappointment this will cause. Return to the glory days of jazz funk and soul with real dance music legends as GRT Entertainments present a soulsational evening of non-stop, live dancefloor anthems including You to Me Are Everything, Use it Up and Wear it Out and Going Back to My Roots. The Real Thing’s original frontmen, brothers Chris and Eddie Amoo plus Dave Smith, revive the glory days of the 70s and 80s performing Can’t Get By Without You, You’ll Never Know What You’re Missing, Whenever You Want My Love, Children of the Ghetto and Can You Feel the Force.